This small book is a selection of Pamuk’s favorite pieces from his own books: Selections from The Black Book, My Name is Red, Snow, and Istanbul, pieces that can be read as stories in themselves. 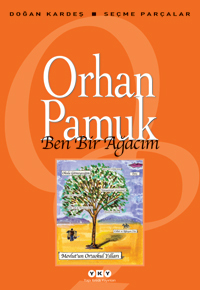 I am a Tree might best be summarized with the sentence “Orhan Pamuk for everyone”, and it is indeed the best introduction to Pamuk’s rich fictional and nonfictional output. The book also contains a surprise: A long chapter from Pamuk’s new and still unpublished novel, A Strangeness in My Mind, that tells the story of the school days of the novel’s protagonist, Mevlut Karataş.